We are delighted to announce that Professor John Fortner (Washington University in St. Louis, USA) and Professor Zhang Lin (South China University of Technology, China) join the Environmental Science: Nano team as Associate Editors. Professor Fortner and Professor Lin join Iseult Lynch, Joel Pedersen, Kristin Schirmer and Wei-Guo Song as Associate Editors handling the peer review of submissions to the journal. 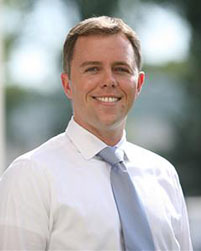 John Fortner is the InCEES Career Development Associate Professor at Washington University in St. Louis. His research is primarily focused on advancing water-related technologies and engineering novel material interfaces as they relate to critical environmental-based health, security and energy challenges. He has extensively studied the environmental fate, (photo) reactivity and applications (e.g. novel water treatment membranes) of engineered carbon nanomaterials, including fullerenes, carbon nanotubes, and graphene-based materials. Zhang Lin is a Professor in School of Environment and Energy, South China University of Technology. Her research group focuses on the crystal growth kinetics of nanoparticles and the relevant environmental applications. More specifically, she is interested in recycling of heavy metal from nanowaste, especially from industrial sludge or from nano-adsorbents after usage. She is also interested in studying the bio-mineralization processes of heavy metals by indigenous microorganism, the structure, properties, and transformation of biogenic nanoparticles. 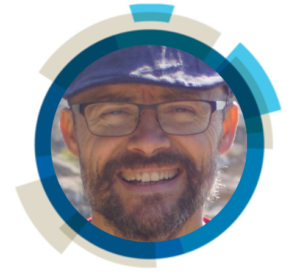 We are delighted to announce that Professor Joel Pedersen joins the Environmental Science: Nano team as an Associate Editor. Professor Pedersen holds appointments in the Departments of Soil Science, Civil & Environmental Engineering, and Chemistry at the University of Wisconsin-Madison, where he serves as a Research Theme Leader in the NSF-funded Center for Sustainable Nanotechnology. His research focuses primarily on environmental interfacial chemistry, in particular the interfacial processes affecting the behavior of nanoparticles, biomacromolecules, and organic microcontaminants in natural and engineered environments. We are delighted to announce three new members are joining the Environmental Science: Nano Editorial Board! 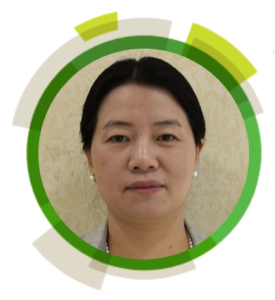 Dr. Zhang Lin is a Professor in School of Environment and Energy, South China University of Technology. Her research group focuses on the crystal growth kinetics of nanoparticles and the relevant environmental applications. More specifically, she is interested in recycling of heavy metal from nanowaste, especially from industrial sludge or from nano-adsorbents after usage. She is also interested in studying the bio-mineralization processes of heavy metals by indigenous microorganism, the structure, properties, and transformation of biogenic nanoparticles. 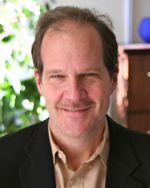 Dr Jerome Rose is CNRS Senior Scientist at the CEREGE Laboratory and serves as adjunct faculty at Rice and Duke Universities (USA). His research focuses on the behaviour and toxicity of colloids and contaminants from laboratory to field scale. He is employing intensively synchrotron and Lab Xray-based techniques to study mechanisms at a molecular level. Since 2001 he has been involved in research on the environmental and health implications of nanotechnologies. His group determined the molecular and thermodynamic mechanisms responsible of the enhanced reactivity of iron nanoparticles smaller than 10 nm and discovered double wall Ge-imogolite nanotubes. More recently the team unravelled the environmental exposure level and mechanisms to nanoparticles from various commercial products by taking into account the various stages of their life cycle. Nathalie Tufenkji earned the Ph.D. degree in Chemical and Environmental Engineering from Yale University in 2005. 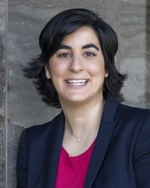 She is presently Professor in the Department of Chemical Engineering at McGill University where she holds the Tier I Canada Research Chair in Biocolloids and Surfaces. She works in the area of (bio)colloid-surface interactions with applications in protection of water resources, antimicrobial materials, and sustainable nanotechnologies for use in environmental remediation, agriculture and medicine. Peter Vikesland is a professor of civil and environmental engineering at Virginia Tech, USA. His research interests include nanomaterials in the environment and improved sensors for drinking water. His research on the environmental implications of nanotechnology examines the effects of solution chemistry on the aggregation and dissolution of environmentally relevant nanoparticles. We are delighted to announce the appointment of the following people to the Environmental Science: Nano Advisory Board. 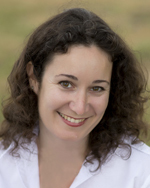 Melanie Auffan is a CNRS research scientist at the CEREGE (European Geosciences Center) in Aix en Provence. She is member of the iCEINT and CEINT steering committee (consortium for the Environmental Implications of Nanotechnology). Her research addresses the physico-chemical properties and surface reactivity of nanoparticles in contact with living organisms. 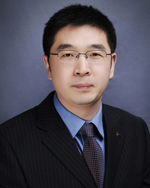 Professor Yoon-Seok Chang is based at Pohang University of Science and Technology (Postech), South Korea. 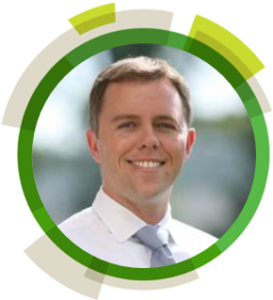 His research interests include zero valent iron based nanotechnologies for groundwater remediation and the environmental fates and human health effects of toxic substances and nanomaterials. 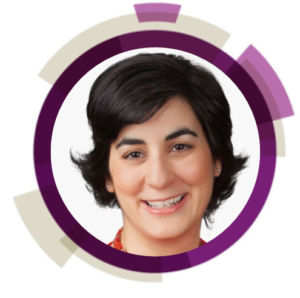 Dr Demokritou is currently an Associate Professor at Harvard School of Public Health. 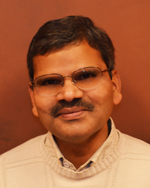 His research interests are primarily in the areas of nano-aerosol science and technology with emphasis on the elucidation of particle health effects. 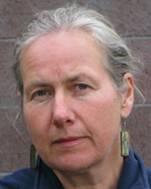 Juliane Filser is a full professor for general and theoretical ecology and vice director of the interdisciplinary UFT Center for Environmental Research and Sustainable Technology at the University of Bremen, Germany. Juliane’s main research focus is prospective environmental risk assessment, with special attention to ecological interactions in soils. Her group had been one of the first worldwide to point out the need for assessing potential risks of nanoparticles in terrestrial environments. Professor Fortner’s research is primarily focused on environmental implications and applications of advanced materials. He has extensively studied the environmental fate, reactivity and impacts of engineered carbon nanomaterials, including fullerenes and carbon nanotubes, in aqueous systems. Robert H. Hurt is Professor of Engineering at Brown University, USA. 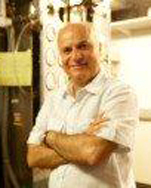 His current research includes the biological response to graphene-family nanomaterials, mechanisms of carbon nanotube uptake and toxicity, nano-silver and nano-copper transformations in the natural environment, safe material design, and the assembly and folding of graphene to make three-dimensional architectures for barrier and encapsulation technologies, and as electrodes and catalyst supports. Dr Ralf Kaegi is based at EAWAG, Switzerland. 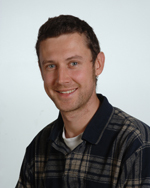 His research interests are focused on the fate and transport of engineered nanomaterials in the (urban) environment. Anne Kahru is head of the Laboratory of Environmental Toxicology at the National Institute of Chemical Physics and Biophysics, Tallinn, Estonia. 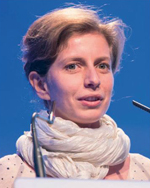 Her current research focuses on the mechanisms of (eco) toxicicity and bioavailability of synthetic nanoparticles by combining molecular techniques, in vitro and ecotoxicological tests and analytical chemistry. 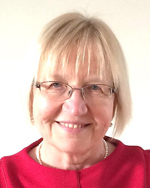 She is also a founder and President of the Estonian Society of Toxicology. Dr. Sijin Liu is currently a Professor at the Research Center for Eco-Environmental Sciences, the Chinese Academy of Sciences. His research interests interests include: (1) the mechanisms responsible for environmental pollutant-mediated oncogenic effects; (2) nanosafety and nanoimpact. 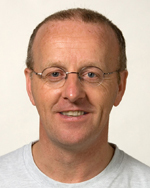 Willie Peijnenburg is Professor of Environmental Toxicology and Biodiversity at Leiden University, The Netherlands. Currently, his main research interests include assessment of the fate and ecological effects of manusfactured nanomaterials in aquatic media. 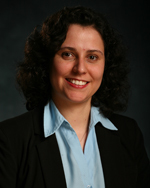 Debora Rodrigues is currently an Associate Professor at the University of Houston in the Department of Civil and Environmental Engineering. Her research interests involve investigation of the toxicological effects of carbon-based nanomaterials and polymer nanocomposites to wastewater microbial communities and their potential applications for water treatment and corrosion prevention. Tara Sabo-Attwood, PhD is an Associate Professor and Chair of the Department of Environmental and Global Heath, College of Public Health and Health Professions and Center of Environmental and Human Toxicology at the University of Florida. She has broad expertise in environmental molecular toxicology with an emphasis on water and airborne contaminants. Navid Saleh is an Assistant Professor of Civil, Architectural and Environmental Engineering at the University of Texas at Austin. His research focuses on design and development of novel and human-centered water treatment technologies. The primary goal is to enhance economically challenged communities’ access to potable water via innovative nanomaterial-enabled treatment processes. 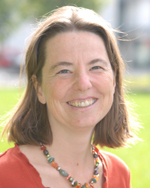 Gabriele Schaumann is Professor of Environmental and Soil Chemistry at the University of Koblenz-Landau, Germany. Her main research interest is to gain a process-orientatied understanding on the fate, transformations and effects of new particulate stressors like engineered nanoparticles and plastic particles in the environment and to adapt and further develop analytical techniques for their detection and characterization in environmental samples. 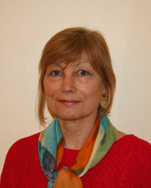 Dr. Vera I. Slaveykova is a professor of environmental biogeochemistry and ecotoxicology at the University of Geneva and director of the Department F.-A. Forel for environmental and aquatic sciences at the University of Geneva. Her primary research interests are in development of new tools and concepts to study the basic processes governing the behavior of trace elements and nanoparticles, their interactions with various biotic and abiotic constituents of the aquatic systems, that are highly relevant to water quality and environmental risk assessment. 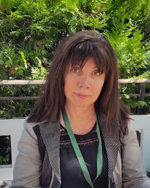 Dr. María Elena Vela is a Professor of La Plata National University (Argentina) and researcher at INIFTA, the Research Institute of Theoretical and Applied Physical Chemistry in La Plata city. Her research group works in the synthesis and investigation of functional nanostructured materials and their applications to modify surface properties and to design platforms for ultrasensitive detection of molecules. She also is interested in the study of the interaction of molecules and nanoparticles with model biomembranes. Sharon Walker is Interim Dean of UC Riverside’s Bourns College of Engineering, where she also serves as John Babbage Chair in Environmental Engineering and Professor of the Department of Chemical and Environmental Engineering. She is a leading expert on water quality, focusing on the fate and transport of bacteria and nanoparticles in water. 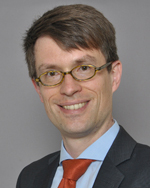 Wendel Wohlleben is a Senior Scientist for characterization of nanomaterials at BASF, Dept. of Material Physics. 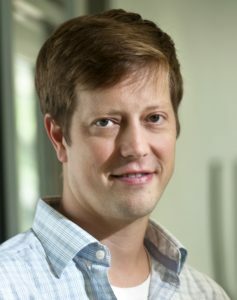 He leads research projects on advanced materials development and on the safety of nanomaterials and is a visiting scientist at the Harvard School of Public Health and at the Department of Materials and Interfaces at the Weizmann Institute, Israel. Read some of the high-impact research authored by our new Advisory Board members in Environmental Science: Nano using the links below. 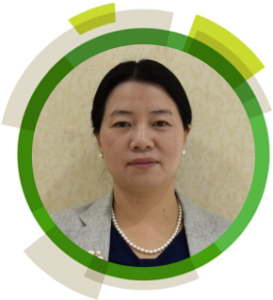 We are delighted to introduce Wei-Guo as a new Associate Editor for Environmental Science: Nano. Wei-Guo joins Greg Lowry, Iseult Lynch and Kristin Schirmer as Associate Editors handling submissions to the journal. 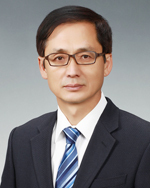 Dr. Wei-Guo Song is a Professor in the Institute of Chemistry at the Chinese Academy of Sciences (ICCAS). He is also a Professor at the University of Chinese Academy of Sciences. He obtained his BSc. from Peking University in 1992, and his PhD from University of Southern California in 2001. He joined ICCAS in 2005, and received National Distinguished Young Scholar award in 2007. His research group focuses on the design of nano porous materials and their properties. More specifically, he is interested in using nano porous materials as adsorbents for inorganic pollutants, and as heterogeneous catalysts for catalytic degradation of organic pollutants. He is also interested in developing high performance catalysts including noble metal catalysts, solid acid/base catalysts, non-metal catalysts, etc. for fine chemical and pharmaceutical industries. Please join us in welcoming Wei-Guo to Environmental Science: Nano. We are delighted to introduce Iseult Lynch as a new Associate Editor for Environmental Science: Nano. Iseult joins Greg Lowry and Kristin Schirmer as Associate Editors handling submissions to the journal. Iseult Lynch is a physical chemist specialising in understanding the interface between engineered nanomaterials and the environment (biotic and abiotic components) and how this determines their ultimate fate and behaviour. Dr Lynch has been actively involved in research to elucidate the mechanisms involved in potential toxicity of nanomaterials, including being centrally involved in the pioneering studies regarding the nanoparticle-protein corona, for which she received the US National Academy of Sciences Cozzarelli Prize for 2007 (with her co-authors). She is currently applying these concepts to assessing nanomaterial behaviour in more complex environments and whole organisms, looking for example at the role of secreted proteins and polysaccharides as well as dissolved organic matter in determining nanomaterials environmental fate, transformation and biouptake. Her expertise spans nanomaterials synthesis, characterisation and environmental interactions (biomolecules, cells, organisms). Please join us in welcoming Iseult to Environmental Science: Nano. Iseult has recently published a review in Environmental Science: Nano, read it here. 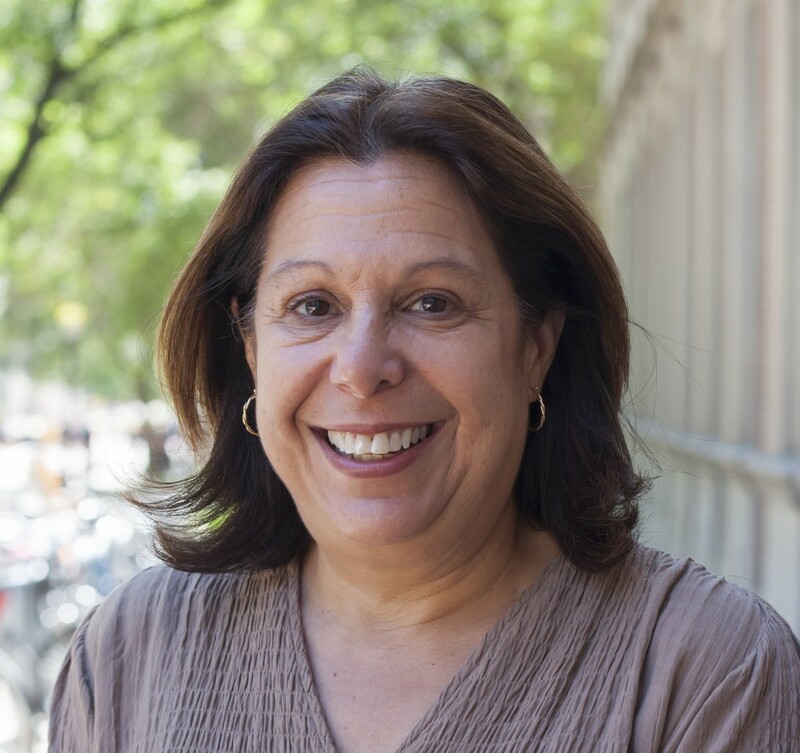 We are delighted to share with our community that our Editor-in-Chief Professor Vicki Grassian has joined the Departments of Chemistry and Biochemistry, Nanoengineering and Scripps Institution of Oceanography at UC San Diego, USA. Vicki Grassian, Distinguished Professor and Distinguished Chair of Physical Chemistry, left the University of Iowa, where she held appointments in the Departments of Chemistry, Chemical and Biochemical Engineering, and Occupational and Environmental Health. Prof Grassian’s research focuses on fundamental molecular-based laboratory studies that provide a better molecular understanding of the surface chemistry of complex environmental interfaces. Her projects include understanding the molecular level details of the heterogeneous chemistry of trace gases with particulate matter such as mineral dust in the atmosphere, dissolution and mobilization of Fe-containing particles, optical properties of atmospheric aerosol and applications and implications of nanoscience and nanotechnology in environmental processes and human health. In the past five years, Vicki has received several awards for her research including the American Chemical Society National Award for Creative Advances in Environmental Science and Technology (2012), the Midwest American Chemical Society Award (2014) and the Royal Society of Chemistry John Jeyes Award (2014). Her appointment at UC San Diego began on the 1st January 2016. Please join us in wishing Vicki all the best in her new position in UC San Diego! We are delighted to introduce Omowunmi Sadik as an Advisory Board Member for our journal Environmental Science: Nano. 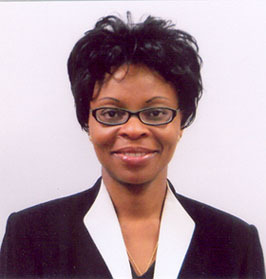 Wunmi is a Professor of Chemistry at the State University of New York at Binghamton, Director of the Center for Advanced Sensors & Environmental Systems and President of the Sustainable Nanotechnology Organization. Professor Sadik received her Ph.D. in Chemistry from the University of Wollongong in Australia and did her postdoctoral research at the US Environmental Protection Agency in Las Vegas, Nevada. She has held appointments at Harvard University, Cornell University and Naval Research Laboratories in Washington, DC. 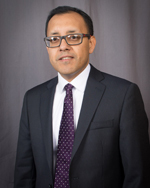 Sadik’s research currently centers on the interfacial molecular recognition processes, sensors and biomaterials, and immunochemistry with tandem instrumental techniques. Her work utilizes electrochemical and spectroscopic techniques to study human exposure assessment, endocrine disrupters, and toxicity of naturally occurring chemical compounds. Make sure you don’t miss out on the latest journal news by registering your details to receive the regular Environmental Science: Nano e-alerts. Follow us on Twitter @EnvSciRSC. 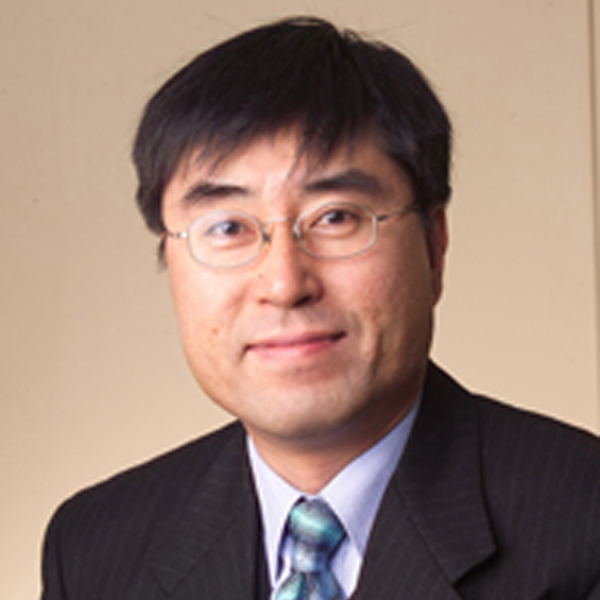 We are delighted to introduce Ki-Bum Kim as an Advisory Board Member for our journal Environmental Science: Nano. Professor Kim is the supervisor of the Nano Fabrication Laboratory in the Department of Materials Science and Engineering at Seoul National University. Ki-Bum’s exciting research is focused on the fabrication of novel nanoscale materials and devices such as graphene, transparent conducting oxide, nanopore and nanochannel structures for manipulation of ions, biomolecules and DNA. His team at the Nano Fabrication Laboratory has conducted a broad range of researches on thin film deposition, characterisation, nanoscale fabrication, and evaluation of emerging nanodevices, and they have particular interest in nanofluidic systems. He has a broad interest on the structure and property relationship in thin film materials. 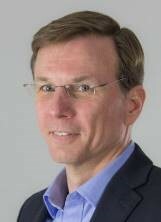 In particular, he has actively worked on the development of metallisation processes for the next generation of Integrated Circuits (ICs), including the development of silicides, diffusion barriers, and interconnecting of materials and processes.